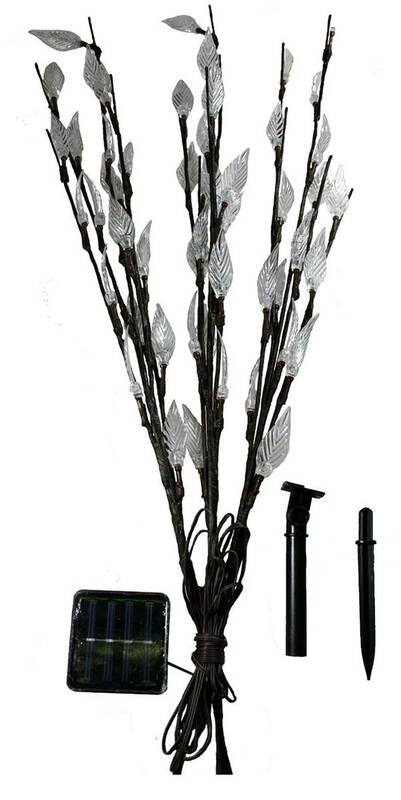 Enhance your garden, paths and borders with this striking set of 3 pre-lit LED tree branches from Gardman. 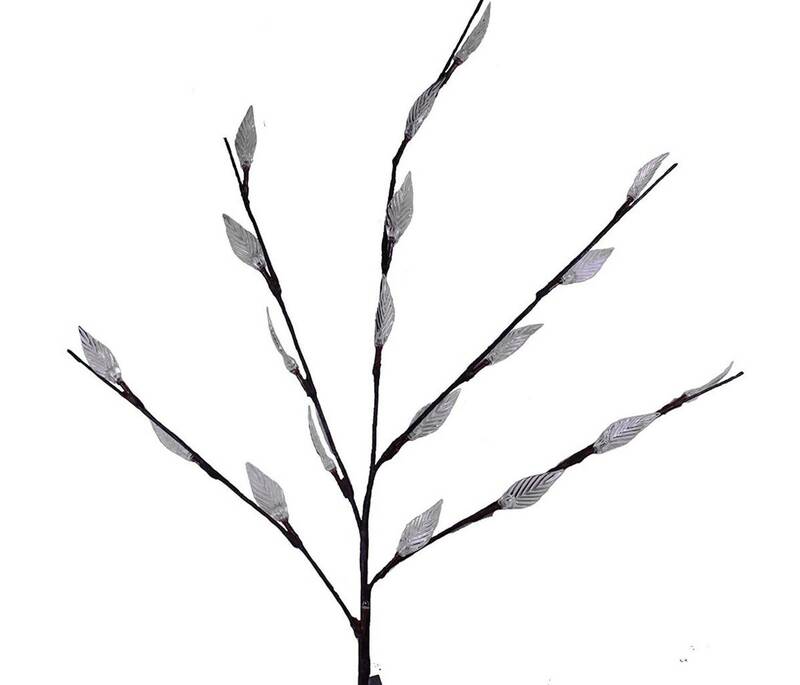 Each branch is pre-lit with 20 warm white LED lights encased in a leaf shape covering to replicate tree branches. It provides lovely, subtle lighting for events such as weddings, parties and Christmas celebrations. Made from strong wire and acrylic, these lights come complete with fully charged AA batteries included. Measuring 76cm high, they have 1m of cable from the first branch to the solar panel.